Congratulations and here’s to many more. Congrats what a great family you have!! It’s wonderful to feel this way at 10 years… I made it to 30 and still going strong! And the friendship is absolutely correct. I not only love my hubby, but I really like him too. He’s a friend I can always trust and count on. So you’re on the right path! And endorsement by the pets is a good sign that it’s true! Congratulations! Happy Anniversary and for many more to come! 30! Congrats, Emily, and thank you! Happy Anniversary! These days ten years is a milestone. Marriage has been one of my greatest adventures. Hope you have many more happy anniversaries! Thanks, and it was so good to see you, Karen! Happy Anniversary 🙂 marriage is such a special gift, and if you get the chance to spend your life with the one person you love above all else you hold on for the ride. congrats! that is one of the sweetest blog posts i have ever read. Thanks, Nova, and thanks again for coming to see me in the ‘Ville! Happy 10th to you and Missy! Wishing you many more wonderful anniversaries to come. Happy Anniversary, Terry and Missy. Fun to celebrate. Love to you and continuing years ahead! Happy anniversary, and congratulations. What a great collection of four-footed friends. What breed is the behemoth? Congratulations y’all, sounds like a great 10 years. The menagerie reminds me of home, lol. Many congrats on reaching 10 years to you and your gorgeous wife Terry 😃 That picture of her is smile worthy on multiple levels. Congratulations to you both. If you are anything like my husband and I you will continue to grow in love every passing year until you feel completely lost without them. May you continue to be a positive force in each others lives and don’t ever forget that words are important. Enjoy!! Congrats!! 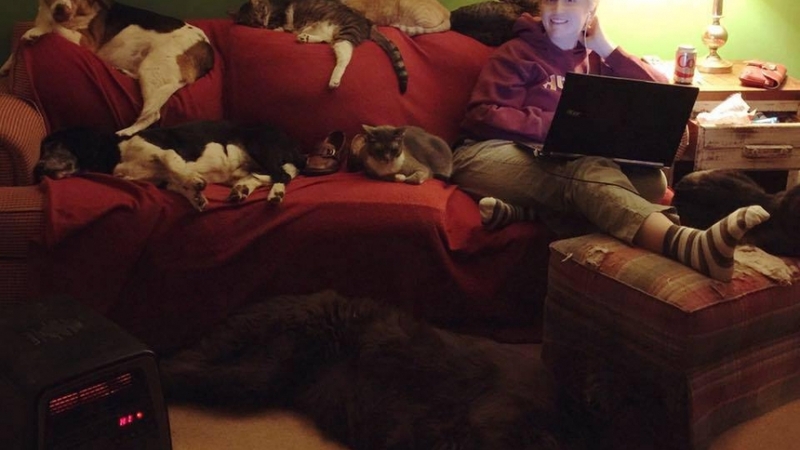 27 years for me and I have just as many pets if not more..lol!! Wonderful picture & congrats on the 10 years. I hope there are many more to go. Hi Happy anniversary Here is to many many more! Best to both of you and your beautiful furbrood! and the 5’er that is still growing! Many congratulations to a wonderful couple!! Thanks, Sunny, and thank you for stopping by!